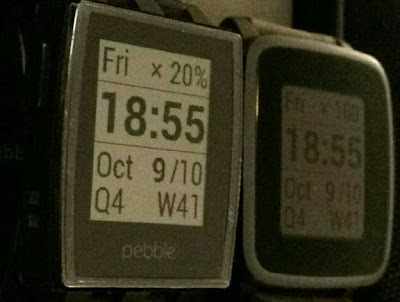 Pebble Time Steel's display contrast is noticably worse than its younger brother - and it's smaller. • Rotate the unit so that the top is towards you. • Flip out the kickstand and simply insert your wallet or mobile phone behind it. The founder of Swype has done it again. This time for tablets! No phone today fulfills my requirements. The best match is BlackBerry Mercury (above pic) but it lacks arrow keys. 11 actions: Windows Phone 8 NEW! 11 actions: Android v4.2 NEW! 13 actions: iOS 6.01 (iPhone) NEW! 8 actions: Windows Phone 8 NEW! 9 actions: iOS 6.01 (iPhone) NEW! Unlock phone (security locks disregarded/disabled)Create an appointment called OK (uppercase) today at 14:00 (any duration)Lock the phone again. I was using the basic out-of-the-box setup - the default unlock screen, default Home-screen, default calendar app etc. Currently this is the ONLY Android phone on the market with QWERTY and both arrow keys and at least a 480 x 320 LCD. Check for yourself - click here to see all QWERTY-bar Android phones. The QWERTY / hardware keyboard is the flimsiest I've tried yet. I've had Palm Treo, Centro, Pre, Motorola Charm, Pro/Fire and two Blackberries. These are ALL superior button feel-wise. The keys are OK but it's easy to press a key without meaning too. The left arrow key only clicks and feels right when pushed on its left side or directly from above. This is very unfortunate since you mostly push it on its right side (after using the other arrows) where it doesn't click and feels wrong. I confirmed this bug on three ChaChas in HTC's concept store hands-on in Copenhagen. If the top of the display is further than 9 cm from the bottom of the phone most people can't comfortably reach the whole display with one hand. And what about the power button on the top? I was using an iPad 2 with English layout for this review. I can live with the iPad's in many ways inefficient layout - and I use my laptop a lot less. It takes a while getting used to not using Shift to reach common symbols like ( / @ - ' " : etc. Since Apple didn't use Shift it takes THREE taps (not two) to type a symbol. And underscore (and others) often requires FOUR taps. Confusingly - and for no obvious reason - comma and full stop both move to new keys when you write digits. Why? Holding Backspace works nicely to begin with but after a little while it starts deleting HUGE blocks of text. Luckily you have Undo and even Redo. GOOD HARDWARE - Weight and size are just perfect. - Smooth enough graphics - faster when animations are off (in dev. options). - Good video quality (not HD but close) but lousy indoors - too dark. - Audio-recording somewhat noisy and easily distorts since input is a bit too loud. - Great screen (LCD). Impressive black-level - almost like an OLED. 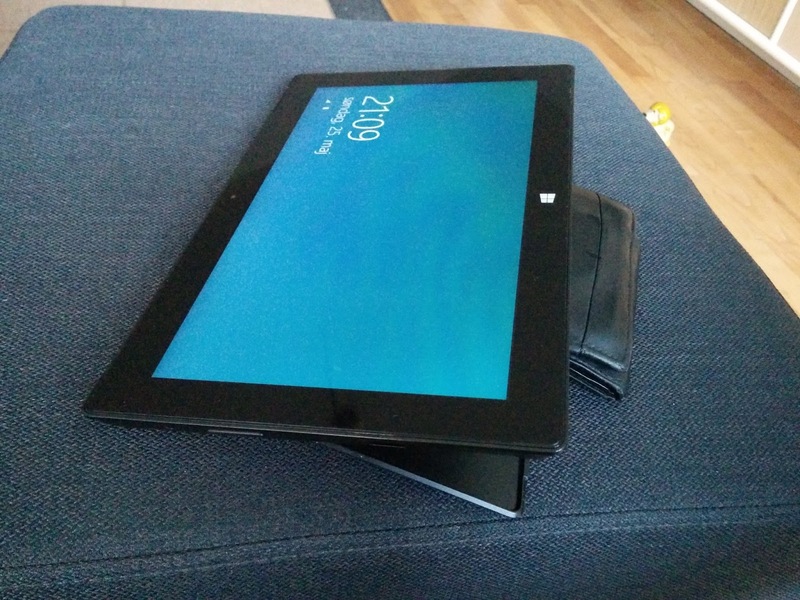 EDGE SWIPING - A BUMMER In Windows 8 you must swipe from outside the screen an onto it to reach the most important functions. This, however, is working badly. Very often the active app thinks you're simply swiping inside the screen area and reacts accordingly - often with a fatal (data-wise) result. Also a swipe or a tap close to the edge (e.g. when tapping the space-bar) is sometimes interpreted as a swipe starting outside the screen and performs the unwanted function - often with a loss of work as a result. The outside-the-screen-swiping should be changed and re-thought.